How could one tempt the boldest travelers to Finland? The answer was that we had to offer something that no other place could. 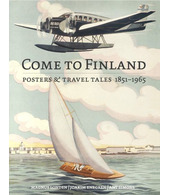 As a result, the advertising people in Hull, England, came up with the brilliant slogan: Finland – Off the Beaten Track. 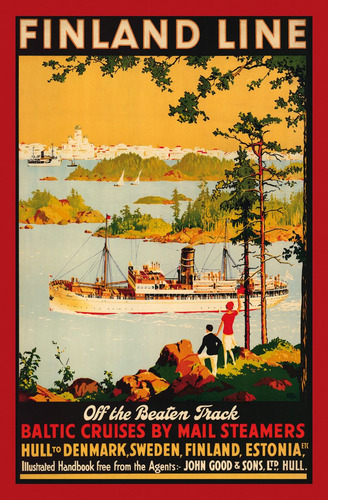 In other words, Finland was described as a country that the tourist hordes had not yet discovered, a country beyond the well-beaten tracks. The slogan was presumably used for the first time already in 1904 and it retained its popularity all the way until the Second World War. A new poster or a brochure cover with a new illustration was published almost every year. Why Hull? 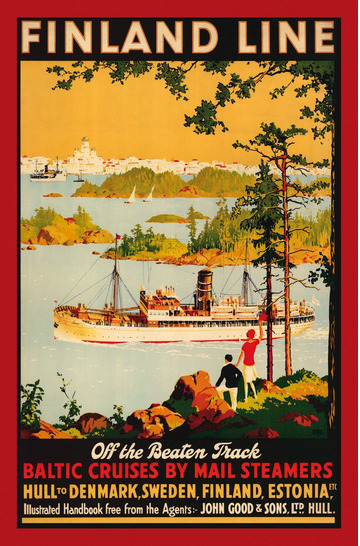 Because the Finland Steamship Company had a direct route from the English coastal town to the end destination of Helsinki, via various cities along the Baltic Sea. This became the proud Finland Line – a bridge between England and Finland.